On with my Met on Demand subscription. 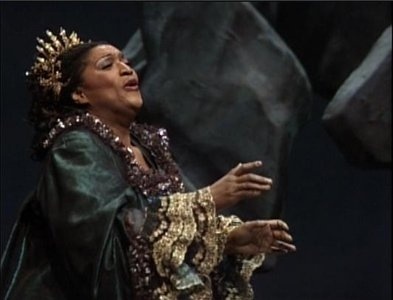 I am watching Strauss's Ariadne auf Naxos with Kathleen Battle, Tatiana Troyanos, James King and Jessye Norman. These are all singers that I loved. You've never seen anyone wail the composer better than Tatiana Troyanos. I miss her. And no one wails anything better than Jessys Norman. And in case you prefer coloratura, we have Kathleen Battle in her prime. This is a must see. James Levine conducts. If you look carefully, you will see Barbara Bonney and Dawn Upshaw.